Look, you’ve heard all about the benefits of exercise when it comes to promoting cardiovascular health and reducing the risk of a heart attack. But, you know what? There are no guarantees in life. However, if you do suffer a heart attack and are an avid exerciser, you could be increasing your chances of post-heart attack survival by up to 47%! Here’s how. Heart attacks can happen to almost anyone, anywhere. Some people even have them while exercising. But that shouldn’t deter you from exercising or leading an active life, because chances are it will help. The important thing is, if you exercise and still suffer a heart attack, the work you’ve done can not only limit the severity of the episode, but it can also help ensure you go on living a long and healthy life. Brand new research published in the European Journal of Preventative Cardiology looked at how exercise plays a role in the survival rate of heart attack sufferers. A total of 14,223 participants who never had a heart attack or stroke when baseline measurements were taken between 1976 and 1978, had their activity levels ranked “sedentary,” “light,” “moderate,” or “high.” They were followed until 2013, when researchers started looking at the data. During that time, 1,664 participants suffered a heart attack, and 425 died immediately from it. How Much Exercise Can Increase Your Chances of Survival? When the researchers looked at the reported physical activity of the participants, they noticed that those who exercised were far more likely to survive attacks. Patients who did light- to moderate-intensity activity were 32% less likely to die than their sedentary counterparts. Meanwhile, those who performed high levels of physical activity were 47% less likely to have their lives cut short by an attack. 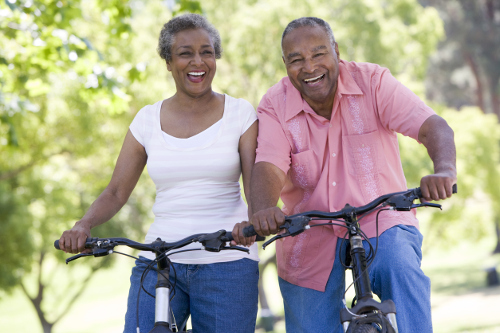 These results indicate that life after a heart attack may be dependent on how much exercise you do. Getting at least 150 minutes of exercise per week, spread throughout the week, is a good goal to shoot for. You can do activities like walking around the neighborhood, gardening, working out at a gym, bike riding, or virtually anything that gets the blood circulating around your system. And, hey, if you can break a sweat, even better! You don’t need to exert yourself too much to enjoy the results of physical activity. But, if you plan on taking up moderate- to high-intensity activities, be sure to check with your doctor first.